A lot is going on in tonight's episode of 'Arrow' entitled "Unchained. "First, a new villain is wreaking havoc in Star City calling himself The Calculator. Meanwhile, Nyssa escapes the dungeon of Ra's Al Ghul with revenge on her mind and Roy is back as Arsenal under dubious circumstances. Check out the previews below. 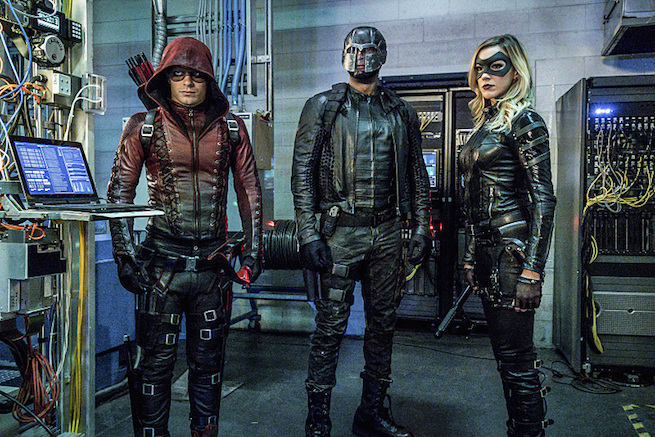 The team welcomes Roy to Foundry 2.0 on tomorrow's new Arrow at 8/7c!